According to dog specialists, approximately 20% to 40% of dogs in North America suffer from anxiety. Like human beings, dogs also respond to stress by displaying emotions in a number of ways. When a dog is stressed, it can be worrying, especially if there’s no specific reason the issue is occurring. Although the problem can be complex to understand, there are a number of treatment methods that can be used to make the pet feel comfortable, safe, and happy. One option is using dog calming supplements. 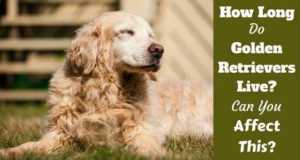 In this post, I explore the best five calming supplements for dogs. 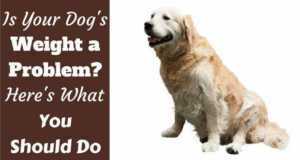 Before setting off to buy anxiety supplements for dogs, it is advisable to start by understanding the problem. Anxiety in dogs can be caused by a number of factors, including separation from owners, loud noises such as fireworks, and medical problems such as diabetes. 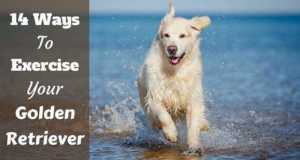 Also, dogs with higher emotional intelligence experience the problem of anxiety more often than others. Now that you know the main causes of anxiety, here are the symptoms that indicate your dog might be suffering from the problem. Searches for solitude: If you notice that your dog is isolating itself or hiding from other animals and people, the chances are that it is suffering from anxiety. Panting excessively: While it’s quite common for a dog to pant; excessive panting, shaking, and quivering could be a sign of stress. Barking excessively: If your dog barks incessantly, even after trying to calm it down, your dog may be suffering from acute anxiety. Unusually aggressive behavior: If your dog has usually been calm, but suddenly becomes aggressive, it’s a sign of anxiety. As more people realize the benefits that come with keeping pets such as dogs, the demand for associated products, such as calming supplements, has been growing. 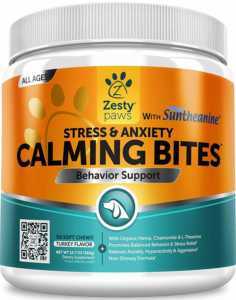 Zesty Paws Stress and Anxiety Calming Bites is one of the top options for dogs with anxiety because of its impressive ingredients. The supplement is made from natural and organic ingredients, which help calm dogs with anxious, nervous, or aggressive behaviors. I found the turkey flavor impressive because it helped my dog want to take the supplement even when under stress. You can also opt for the peanut butter flavor. Within minutes of using the supplement, your dog can spring back to its lovely, calm demeanor. The organic ingredients used in this supplement include organic passion flower, chamomile, and ginger roots, which have all been used for decades to suppress anxiety. Inorganic ingredients used on the supplement include Suntheanine (a pure form of L-Theanine). L-Theanine is preferred as a mind relaxant because it does not cause drowsiness. To get better results, you should give the dog one anti-anxiety chew every day until the symptoms cease. 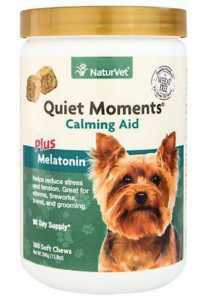 NaturVet, one of the most renowned brands in the animal supplement niche, created the Quiet Moment Plus Melatonin to help dog owners calm their animals fast. I found it one of the top calming pills for dogs because the active ingredients can help counter a wide range of stresses depicted by your dog. The main ingredients used to prepare the supplement are Thiamine and L-Tryptophan, which help promote relaxation. In addition, it contains natural melatonin to help calm the dog from stress related to long trips, thunderstorms, or fireworks. If your dog has a sensitive stomach, the NaturVet supplement will work well because it also contains ginger. Besides, it’s tasty and your dog will like it. The main shortcoming of NaturVet Quiet Moment Plus is that you’re required to give it to the dog about 30 minutes before a stressful situation unfolds. But if your dog’s anxiety occurs at predictable moments, this is less of an issue. 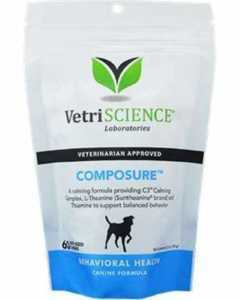 The Composure Calming Behavior Support supplement has grown in popularity because it’s manufactured by a certified brand, VetriScience Laboratories. 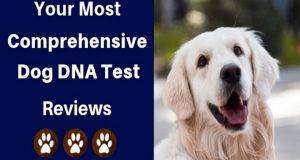 To guarantee dog owners, the manufacturer pre-tests all the ingredients before using them in their supplements. The ingredients used in the Composure, Calming Behavior Support supplement are aimed at delivering quick calming results to your dog. VetriScience indicates that you should expect results within 30 minutes of administering the supplement. The main ingredients include L-Theanine, Thiamine, and Colostrum, which have all been proven to promptly calm the mind. Because the ingredients are sourced naturally, you can expect to get a prompt calming effect, without worrying about side effects. I found this supplement highly reliable because it’s effective in calming dogs from a wide range of stresses. You can give it to your dog when traveling if suffering from separation anxiety, or when he or she is stressed by thunderstorms/ fireworks. Its tasty chicken-liver flavor makes it easy to administer to your dog for a quick calming effect even when frightened or aggressive. If your dog starts showing signs of anxiety, one of the primary concerns about the supplements on the market are their side effects. 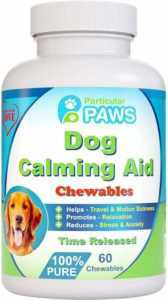 However, the Dog Calming Aid by Particular Paws is manufactured from all natural ingredients to guarantee faster intake and calming results. The main ingredients include mononitrate and L-tryptophan, which deliver a prompt calming effect to provide immediate relief for your dog from loud noises to thunderstorms to travel-related stress. 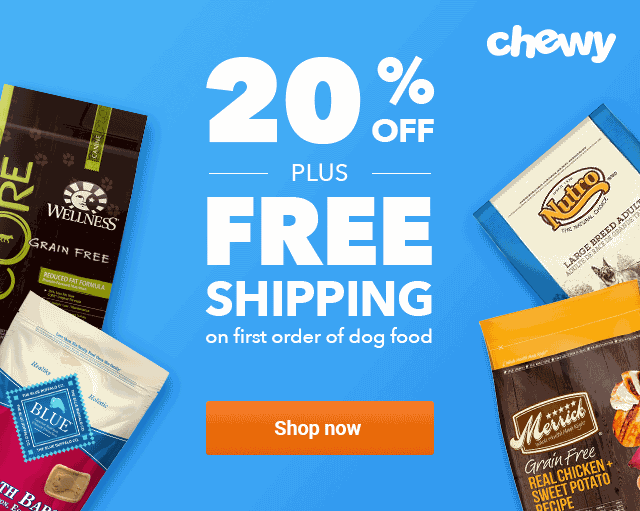 Other active ingredients include chamomile flower, passion flower, and ginger extracts that help to alleviate nausea, sooth the stomach, and promote the overall health of the dog. Whether you plan to travel with your dog or fear that occurrences such as thunderstorms could cause anxiety, this Dog Calming Aid is one supplement I strongly recommend. Try to understand the nature of anxiety that your dog is suffering from. Though most dog calming supplements are manufactured to cater for a wide range of anxiety in dogs, being specific can help you find a more effective supplement. Go for the supplement manufactured by top brands. 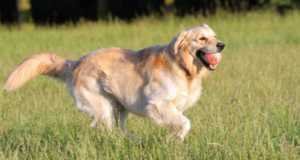 Manufacturers that have been in the market and won the affection of dog owners for quality products are likely to offer high-quality products. Consider picking supplements that deliver fast calming results. This implies that even if the dog has acute anxiety, because of separation or extreme noises, the supplement will help to bring on a prompt calming effect. 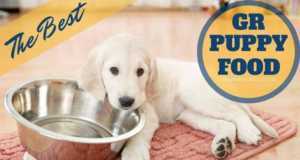 Only pick flavored supplements to make it easy for the dog to eat and get the calming effect. Good supplements at this point might be the turkey or chicken liver flavored options. When you set out shopping for calming supplements for dogs, the main aim should be getting the ideal option that will help to deliver lasting results. Note that though anxiety is caused by a number of factors, the process of picking the right calming supplements will be easier if you can identify the specific source of stress. Is it separation, traveling fear, or loud noise? I found the five anxiety supplements for dogs evaluated above to be impressive because of their efficiency. Remember that the focus is not to pick the cheapest option. Rather, it is identifying the supplement that guarantees a fast and long-lasting calming effect. 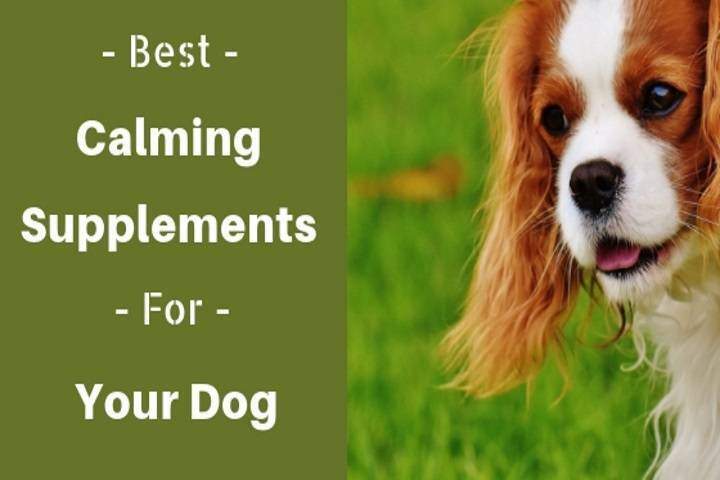 Do not simply pick any calming supplement for your dog; go for the best.